Hartley Pit Disaster or Hester Pit Disaster. 16th January, 1862. 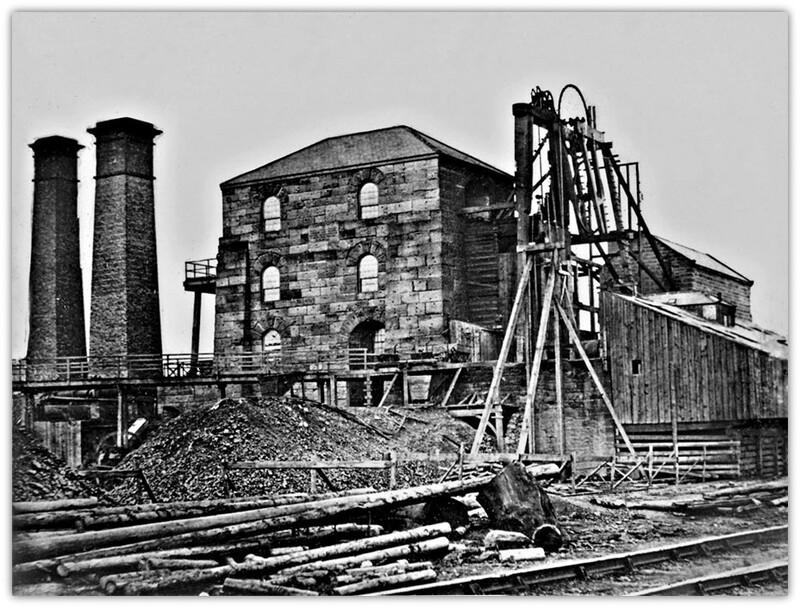 The Hartley colliery, owned by Messrs. Carrs, was in the Great Northern Coalfield and gave it's name to the steam coal that was produced there. The house coal was known as Wallsend coal. 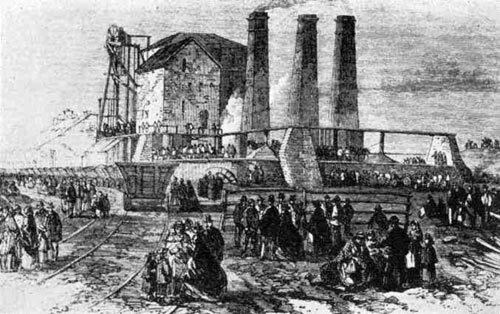 The coals from Hartley were shipped to the artificial harbour at Seaton Sluice by a primitive colliery railway, two miles long. The shaft at Hartley was sunk eighty fathoms, in 1830 to three rich coal seams, the High Main was at thirty eight fathoms and was four feet six inches thick, the Yard mine at sixty five fathoms, three feet thick, and the Low Main at ninety five fathoms. There had been problems in sinking the shaft. A manuscript left by an old pitman, stated that an attempt had been made to build a steam boiler at Hartley during the last century. There had been 'creep' round the shaft and a whole boat load of strong wooden baulks, cut to lengths, had been used at the pit top but this did not stop the creep and the work was abandoned. The colliery was worked by means of one shaft although there was a staple from the surface to High Main and one from the Yard to the High Main. The shaft was twelve feet in diameter with three inch planking forming the brattice down the centre. The Low Main was accessible only by the shaft which was bratticed down the middle. There were two men at the upper seam at the time of the accident. There had been a depression in trade in the coalfield and the value of the steam coal had not been fully appreciated but when the demand for this coal was realised the colliery became profitable. 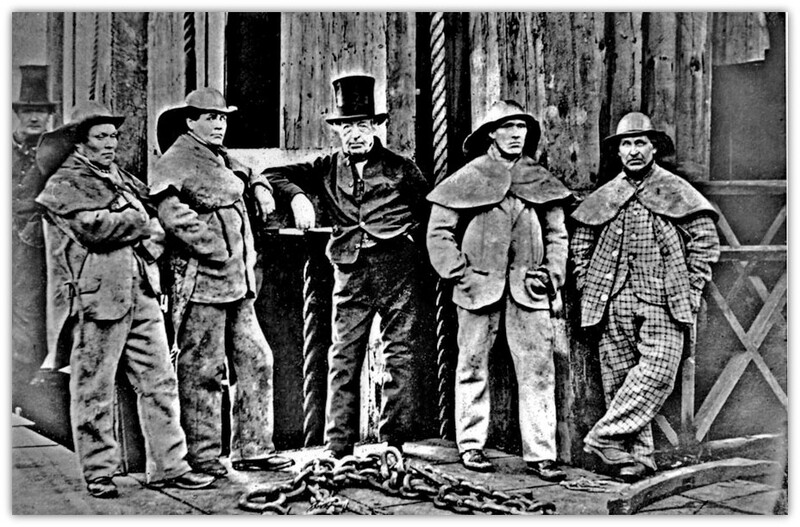 Due to the drop in coal prices in 1857, four collieries, worked by Messrs. John Carr and Co., were put up for public auction at Newcastle on the 20th July 1858. They were the Hartley Colliery, the Burradon Colliery, the Cowpen Colliery and the Seghill Colliery, which was the oldest and sunk in 1822. There were three thousand acres of coal at the colliery and it was withdrawn from the auction when arrangements made between Messrs. Carrs and Lord Hastings. 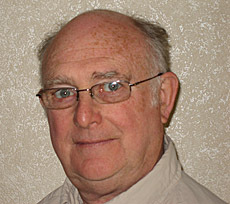 Mr. Carr also owned the Burradon colliery and was not in good health. The mine was subject to flooding and six or seven years before the disaster it was inundated. At the time the engineers thought that they had struck the sea and the pump was too small to do the job of clearing the mine. The pumping engine was installed four years before the disaster and at the time was the largest in the north of England. The cylinders were immense and it generated four hundred horse power and lifted the water two hundred and forty feet up the shaft. The beam weighed forty tons. Even so, water was still a problem in the mine and it was only when they holed into the workings of the abandoned Mill Pit did the water become less of a problem.